Dr. Yusuf Mohamed Dadoo was born on 5 September 1909 in Krugersdorp on the West Rand. His father, Mahomed Dadoo, had been born in 1881 in the small village of Kholvad along the south banks of the Tapi River, a few miles outside the ancient south Gujarat city of Surat, in India. Mohamed senior arrived in South Africa in 1896, during the South African War. He was only 15 years old when he settled with his family in Klerksdorp, after which he moved to Krugersdorp where he started a business in 1904. The policy of segregation instituted by the white government of the day meant that the six-year-old Yusuf had to travel daily by train to the Johannesburg suburb of Fordsburg to receive his primary education with other Indian children. Fordsburg was a mixed working class suburb with an English, Afrikaans, Jewish, Lebanese, Indian, Chinese, Coloured and African community housed in overcrowded shanties and tenements. He also attended the Bree Street School, the only school available specifically for Asian education. Dadoo and others, like J.S. Joshi, were inspired by the growing nationalist movement in India, and in particular the growing resistance to the British in Gujarat State, where Gandhi had emerged as the new leader and was growing in both status and in his contribution to the renaissance in Gujarat politics. Many parents of the children attending the Bree Street School had played a leading role in the passive resistance campaign led by M.K. Gandhi, and had been to prison. Dadoo and his classmates would also have lived through the momentous events of the miners' revolt in 1922. Dadoo left Johannesburg and matriculated at Aligarh Muslim College in India. It was during his school days that he started attending meetings held by former stalwarts of M. K. Gandhi. He and other contemporaries, like Molvi Cachalia used to help in raising support for the All Indian National Congress, and made it possible to be transformed into an instrument of the struggle against British colonialism. It was in Aligarh that his hatred towards British imperialism became intensified. As the eldest son, Dadoo was expected to go into business following his schooling, but he refused. Instead he intended to further his studies and in 1929 he arrived in London to read medicine. He had no contacts on his arrival and stayed at the YMCA. Eventually he was drawn into with the India League, and within six months of his arrival he was one of six people arrested for taking part in a demonstration against the Simons Commission. In an attempt to put an end to his political activities his father insisted that he be transferred to the Royal College of Edinburgh in Scotland. It was in Edinburgh, however that where his political horizons were broadened. He became Involved in the Independent Labour Party and in the local branch of All India Congress. Dadoo slowly came closer to understanding the nature of colonialism and the capitalist system that had given birth to it. He began to read Marxist literature and took part in a variety of political activities. In 1932 Dadoo returned to South Africa on holiday and attended the 1932 South African Indian Congress conference where the Transvaal Asiatic Land Tenure Act was discussed. He became convinced that the South African Indian Congress could only advance in their struggle if they cooperated with national organisations representing African and Coloured people. On his return to Britain the following year Dadoo's political activities began to attract the attention of British Intelligence. He visited Georgetown in the West Indies, as well as Guyana, where he attended the wedding celebrations of his friend, Hardutt Singh's sister. At Port of Spain he was declared a prohibited immigrant, but he was allowed to proceed to Georgetown. Hardutt's father was a member of the local legislative council and intervened on his behalf and he was allowed to enter. In 1936 Dadoo returned to South Africa to find the national liberation and working class movements in disarray. During that year Prime Minister J. B. M. Herzog had rushed a number of segregationist bills through Parliament, and the Communist Party of South Africa (CPSA) was still suffering from the effects of the sectarianism that had plagued it during the 1930's. The Indian Congresses were also verbally denouncing racist legislation, but still adhering to a policy of compromise and of isolation from African and Coloured people. 1938 marked the establishment of the Murray Commission. The Transvaal Indian Congress (TIC) agreed to participate in its deliberations, but Dadoo and others objected. He was also active in the formation of Non European United Front (NEUF) and during this year he attended the South African Communist Party (SACP) conference, where he met with, among others, Moses Kotana. Soon thereafter, in the first half of 1939, Dadoo joined the SACP. Dadoo lent all his efforts to building unity within the national liberation movement in South Africa and soon grew in stature, political experience and maturity. In protest to Stuttaford's planned servitude scheme, and under pressure from progressives within the TIC, a mass meeting was called where Dadoo called for a programme of passive resistance to those proposals. He was not alone in his efforts and had the support of contemporaries like T.N. Naidoo, P.S. Joshi and Molvi A.I. Cachalia. Together, with Dadoo as their leader, the group planned to change the ideological and political positions of the various Indian Congresses. In March 1939 they formed the nationalist bloc of the Transvaal Indian Congress (TIC) in an effort to change its policies from within. During this period Dadoo travelled through the whole Transvaal and became well-known as a powerful orator. As a result he gained a lot of personal support and the Indian nationalist bloc began to attract up to 6000 people to meetings. In 1940 Dadoo was elected to the SACP district committee of Johannesburg, and on 27 February he went on trial for making anti-war statements. Shortly after this, in 1941, he was elected as a member of the Central Committee of the SACP. In January of the same year Dadoo was arrested in Benoni under Emergency Regulations for making an anti-war speech and sentenced to four months imprisonment or a fine of £40. He chose to go to prison and spent some of this time in 'Blue Sky' Prison in Boksburg where he had books brought to him by Harry Bloom. When he was released from prison he was met by his many friends and well-wishers who took him home by a triumphant motorcade. Dawood Seedat had also been imprisoned at the same time and following their release from prison restrictions were placed on both their political activities. In 1942 Dadoo and Kotana were two of the key speakers at the Defend South Africa Campaign, and Dadoo became prominent at the beginning of the anti-pass campaigns. During the following years Dadoo was increasingly active politically, especially in the affairs of the nationalist bloc. He spent a year abroad in 1949 and was thus out of the country when the Zulu-Indian riots on January 13 he was still abroad. Following his return Dadoo was arrested at the Broadway Cinema in Fordsburg in 1951 for violating his banning order. He spent a few weeks in prison and in the trial that followed he was sentenced to six months in prison, but was released on appeal. In August of the same year Dadoo was amongst twenty resistance leaders charged under the Suppression of Communism Act. At the end of the trial, which lasted for five months, he was found guilty, but the judge only handed down a suspended sentence to nine months as the offence was, in his opinion, 'statuary communism'. In June 1955 an announcement was made at the historic Congress of the People that Dadoo, Chief Albert Luthuli and Father Trevor Huddleston had been awarded the traditional African decoration of Isitwalandwe-Scaparankoe. As a result of their banning orders only Huddleston was able to attend the award ceremony, and Dadoo′s award was accepted on his behalf by his mother. Following this in 1957 Dadoo was banned from attending gatherings for a further five years, and in 1959 he was arrested at Howick, Natal, under outdated immigration laws which banned the movement of Indians from province to province without official permission. In 1960, during the state of emergency Dadoo and others went underground. He escaped to Botswana after a friend warned him of impending arrests and raids on 29 March. In Lobatsi he established contact with Oliver Tambo, where they met after which he moved to Francistown. The Indian Government provided him with a passport, legal defence and the necessary assistance to hire an aeroplane, which left from Palapye. He travelled to Blantyre, where he stayed at the home of Philip Howard, and proceeded to Dar es Salaam and Britain. In 1961 Dr. Dadoo became active on the World Peace Council (WPC), led by Ramesh Chandra, and in 1963 he met Harry Pollitte. 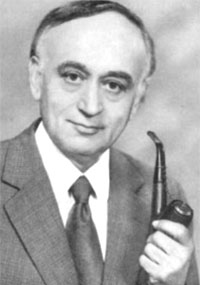 It was on his suggestion that Dadoo attended the Unity Congress of the Polish United Workers Party as well as the fifth congress of the Bulgarian Communist Party. This was Dadoo's first visit to a socialist country. Joe Slovo also arrived in London and met with Dadoo. During 1963 Dr. Dadoo undertook a tour of Africa and in an endeavour to stimulate the setting up of Peace Committees in Africa, he visited Kenya, Tunisia, Algeria and Ghana. The following year he and J.B. Marks embarked on a 6 to 7 week tour of India at the invitation of the Afro-Asian Solidarity Committee and the All-India Peace Council. He was elected vice-chairman of the Revolutionary Council of the African National Congress in 1969 and in 1975 led an SACP delegation to People's Republic of Congo. Dr. Dadoo travelled extensively and in December 1976 he represented the SACP at the fourth National Conference of the Vietnam Workers Party. In 1977 he opened the first meeting of the Worker's Party of Tropical and Southern Africa and in September 1978 he attended the International Conference of Solidarity regarding the struggle of the African and Arab people, held in Ethiopia. During February 1979 he met Eric Honecker, the general secretary of the Socialist Party of Germany (SED) in Maputo Mozambique, and in March he represented the ANC at an 'emergency International Conference in Support of Vietnam', held in Helsinki, under the auspices of the WPC. He also led an official delegation of SACP to Hungary in May. Yusuf Dadoo was a modest, naturally shy and well-read person. He was well-loved and was sorely missed after passing away in 1983. Selected articles, statements and speeches by Dr Dadoo. The Life Story of Yusuf Dadoo.